I’m waiting on our driver to get around to writing the history of the car. In the meantime, here are some pictures. Seeing the #43 sure brings back memories…. 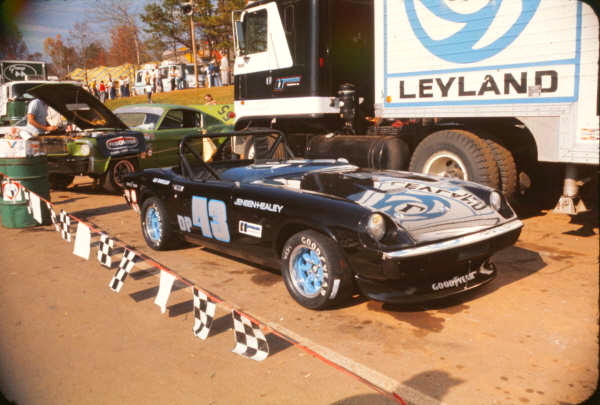 Was that photo taken at Road Atlanta? The red dirt (clay) gives it away…. What does the race schedule look like this year? 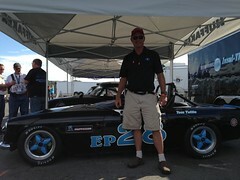 Well the racecar is in California being run by Huffaker right now. 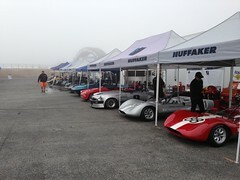 Next month we are going to be taking part in the prestigious Monterey Historics! We’ll have to make sure to update the site and reactivate the Twitter feed for that one! Sounds exciting, Please update and also put it on the JHPS website. That way all can hear of it’s dominance at the Monterey Historics. Looking forward to next year and the Jensen Event in Monroe, WI. Hope to see you there. 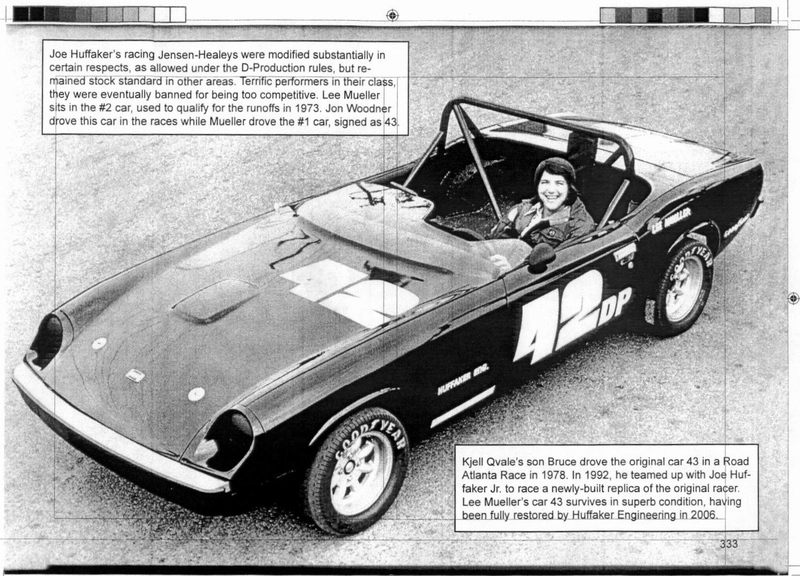 I run a Jensen Healey in historic racing in Denmark. As it is the only JH in the series, technical benchmarking is somewhat limited so I’m intterested in more tech data on your car – main modifications to suspension and brakes plus which rims and tyres you use for race.